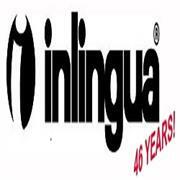 Inlingua has extensive expertise in the translation field. Our main focus is on quality, and our approach is client-oriented: we analyze your needs in details, to give you the best language service. The languages we translate range from the romance languages to the more diversified and remote languages; moreover, our subject matters range from general (correspondence, personal documents, brochures etc.) to technical (legal, medical, I.T. etc). Upon request, we also provide an Affidavit of Accuracy, thus further guaranteeing that the original document has been provided for verification. From translation to interpretation, our professional translators are all native speakers, specialized in different sectors, according to their background and expertise. They are able to provide language assistance either over the phone or onsite, thus being a fundamental resource to help you run your business. In everything we do, our philosphy is always the same: we do take care of your language needs.